The money was due on March 28, and was part of a two-tranche facility totaling $140 million that the company took from HSBC in 2014, according to the people, who asked not to be identified because the details are private. Jet had also missed payment on the other $31 million tranche that was due on March 11, and hasn’t repaid any of the loan, the people said. That adds to a string of missed deadlines at the Indian carrier, which has grounded about two-thirds of its fleet. The company’s credit rating was cut to default in January after it failed to honor obligations to India lenders. The fate of the debt-laden airline, which has struggled to keep up with a slew of budget carriers, is crucial for India’s government. Its collapse could put about 23,000 jobs at risk and dent Prime Minister Narendra Modi’s image ahead of his re-election bid. Lenders committed this month to infuse as much as 15 billion rupees ($217 million) in emergency debt funding, conditional on the resignation of Jet Chairman Naresh Goyal. The former ticketing agent who went on to build one of India’s biggest airlines stepped down under pressure this week. A spokesperson from Jet Airways wasn’t able to immediately comment. HSBC declined to comment. The company had said in an exchange filing that repayment on an external commercial borrowing that was due on March 28 “has been delayed owing to temporary liquidity constraints and the company has engaged with the lender in relation to the same,” though it didn’t give details. 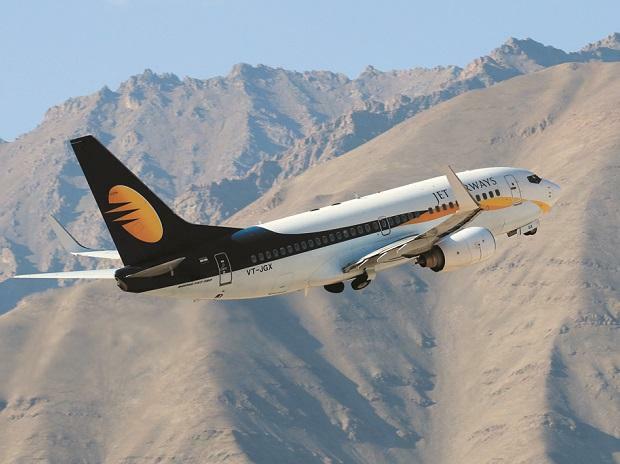 Jet had said on March 11 that it had delayed payment on an external commercial borrowing due that day, without elaborating. Indian lenders who now hold more than 50 percent of Jet Air are seeking to overhaul the company and salvage the carrier that needs an estimated 85 billion rupees to get back on its feet. As the airline misses more debt repayments, lenders are staring down more pain. Rajnish Kumar, chairman of State Bank of India, which is leading the lenders’ plan, has said he expects to get a new investor in Jet by May 31.